Marketing experts predict that by 2009, nearly 90% of all cell phones will contain a camera, as manufacturers race to create cheaper, easier-to-use models with more sophisticated cameras, more pixels, flash units and even multiple lenses. Already revolutionizing audiovisual communication, it's a trend that will only grow more explosively—and who better than National Geographic to create a how-to book aimed directly at the millions who carry a camera phone everywhere and want to make the most of it? 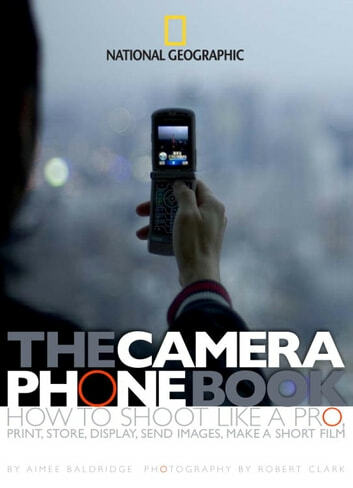 Created by two top professionals, this generously illustrated nuts-and-bolts guide is the first of its kind to treat these units as genuine cameras instead of novelties, and the only one to include a full-color photo-essay demonstrating the full capabilities of the latest camera phones. In five easy-to-read chapters, the book explains how to choose good equipment; take better pictures; and store, print and send the best images. Readers will find practical tips on preventing or repairing water damage, protecting easily-scratched lenses inside pockets and purses, and retrieving accidentally-erased images. They'll also learn to access the events, advice, and opportunities of the burgeoning camera phone community, from film festivals to news organizations, moblogs, and more. 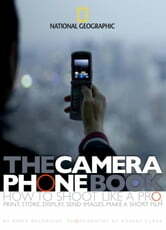 Featuring the technical savvy of CNet.com's Aimee Baldridge and the creative skill of National Geographic photographer Robert Clark, a camera phone pioneer, this compact yet comprehensive reference combines up-to-the-minute expertise with superb examples, at an inexpensive price that makes it a perfect gift book—or an ideal impulse buy.